Well presented, recently refurbished self contained north facing sleepout in private setting. Close to Two Mile Bay boat ramp with room to store boat on lawn. 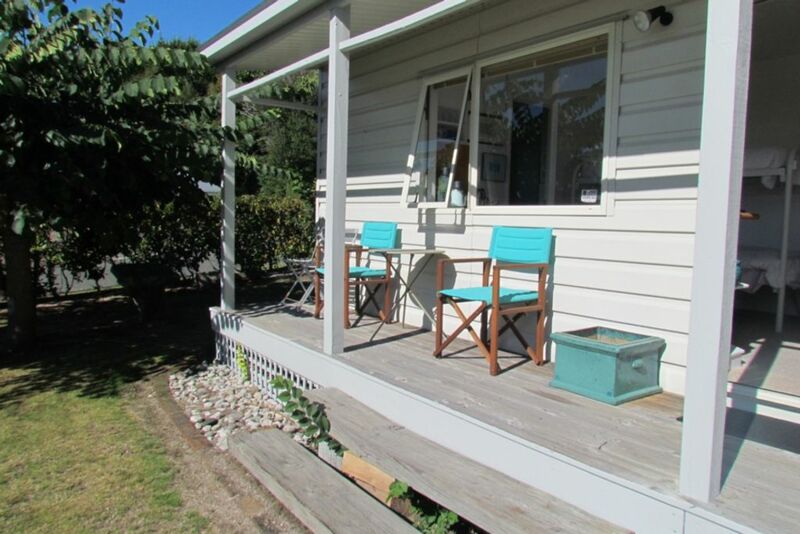 Walking distance to lake and central Taupo. No cooking facilities.Bathroom with shower, Double bed and two single bunks. Very private setting, big lawn for children to play on. Only 400m to swimming beaches. Great location a short walk to the lake had most amenities including plates and cups which was handy, very clean except we had ants. Not ideal if you were wanting somewhere private as it is on owners property. But I would recommend!! Great location close to lake, 40 minute walk into Taupo town centre using lakeside walkway. Very clean and tidy a great base for our weekend away. Would stay here again. Place is tidy and well presented. Place is tidy and well presented. Great location if you have a vehicle.